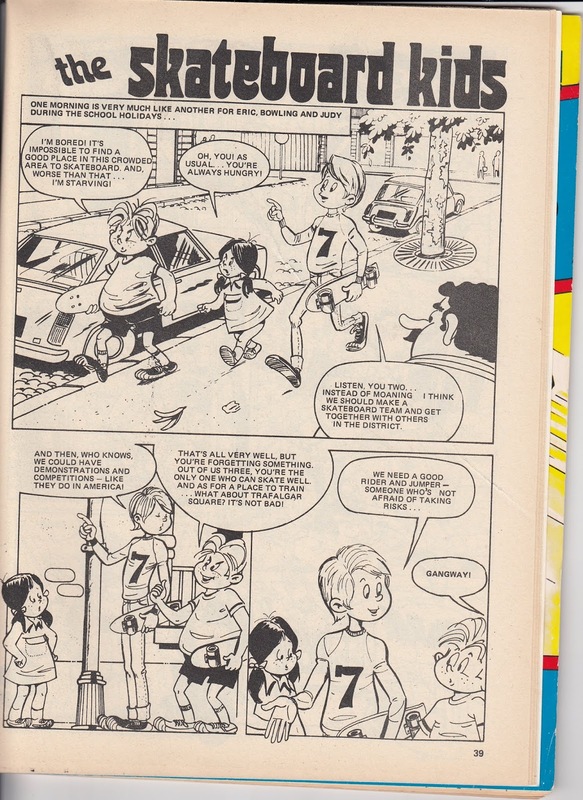 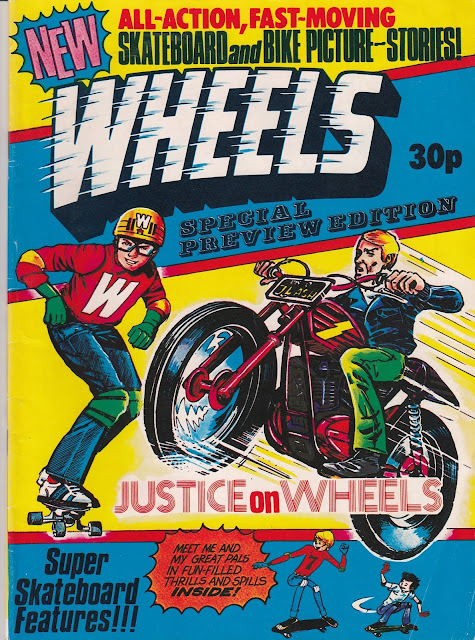 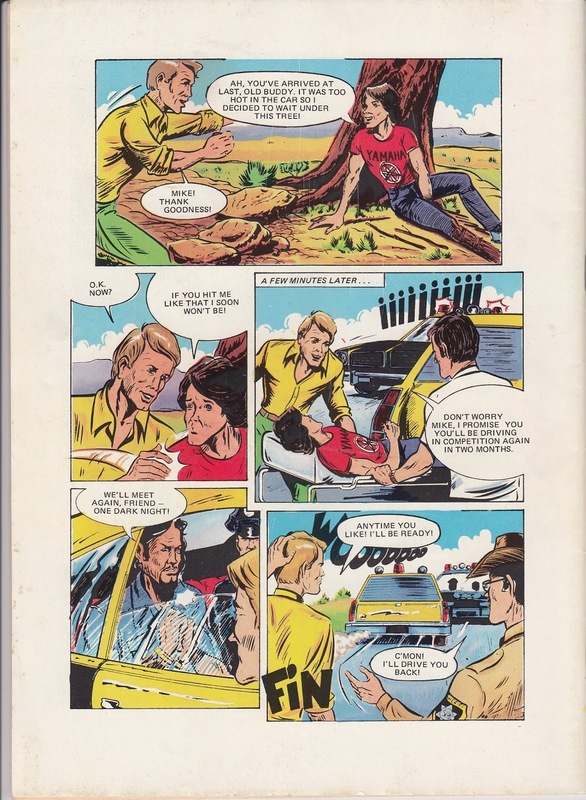 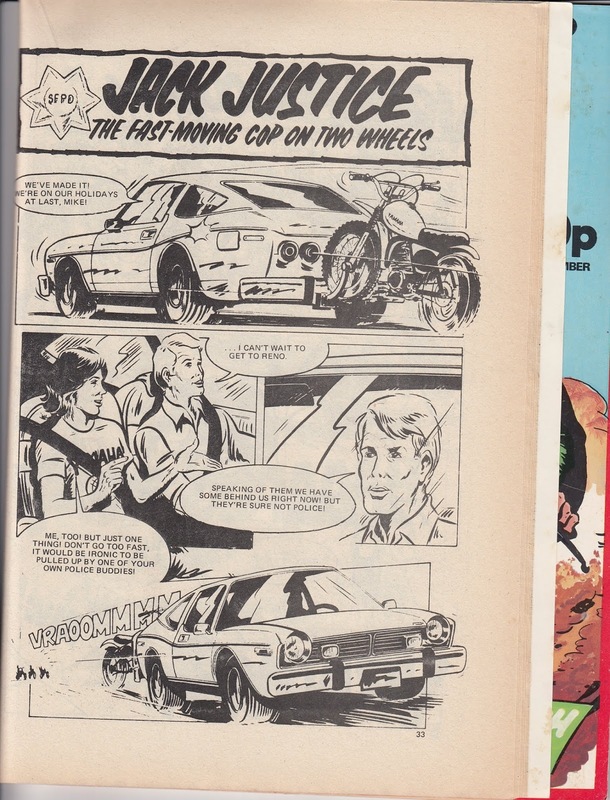 The main strip is 'Jack Justice'...the artwork isn't too bad but it's not really up to the same quality of its contemporaries. 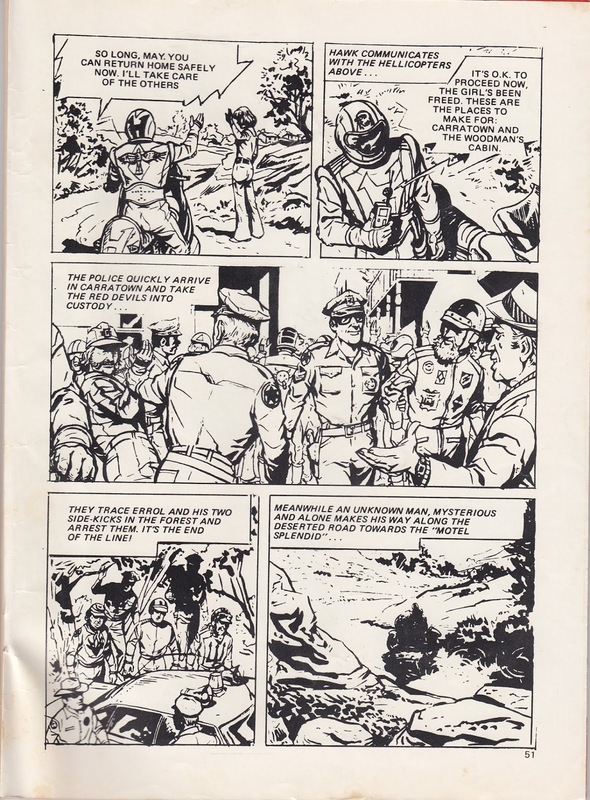 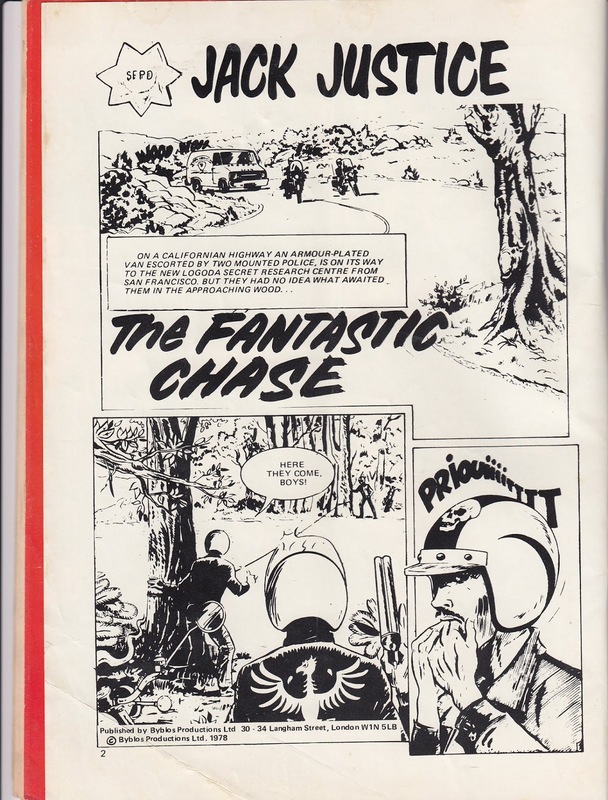 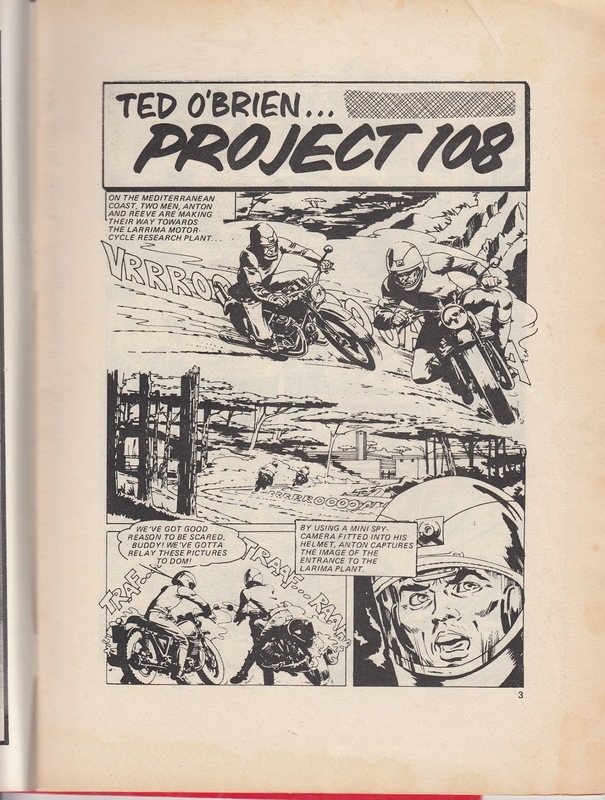 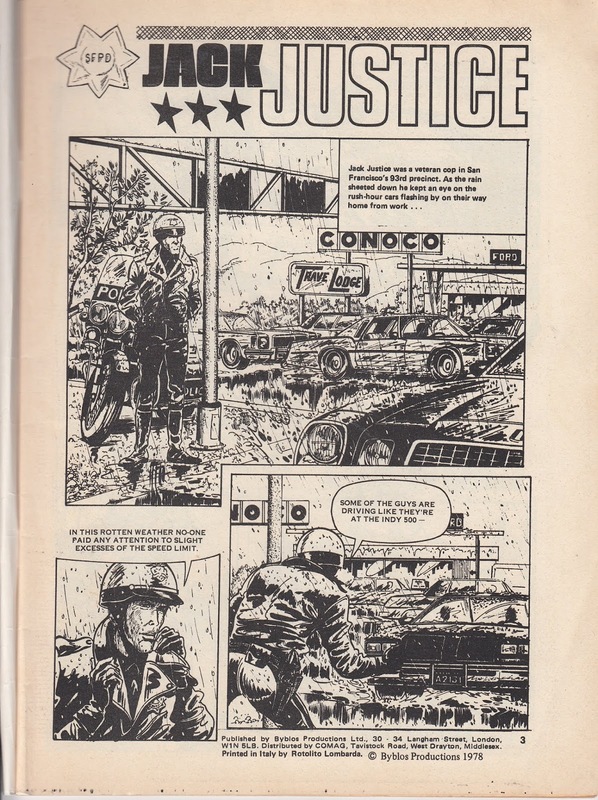 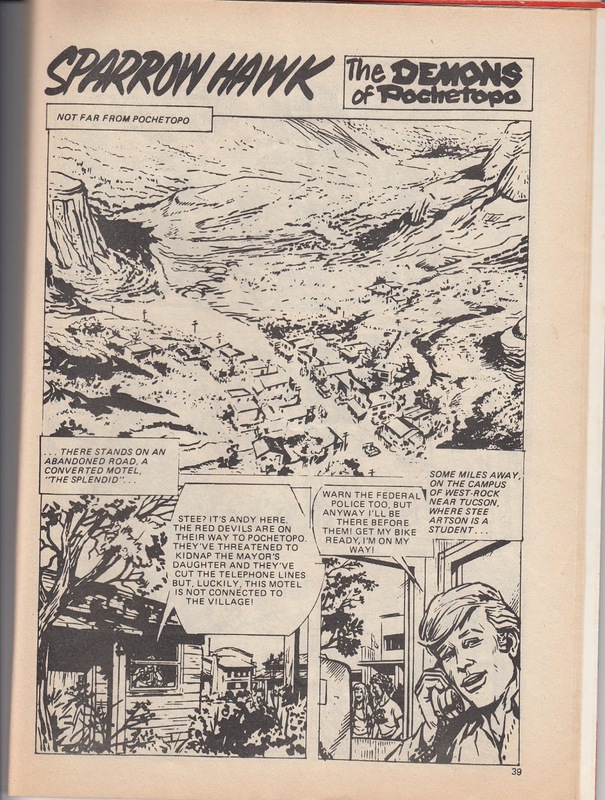 Still no great clues as to where these strips come from (but I can see the phrase 'Inglese' on the bottom of some of the pages so I'm still convinced these are foreign strips) - the art is still hardly on a par with 2000ad (which is priced at 12p at this time so is significantly cheaper). 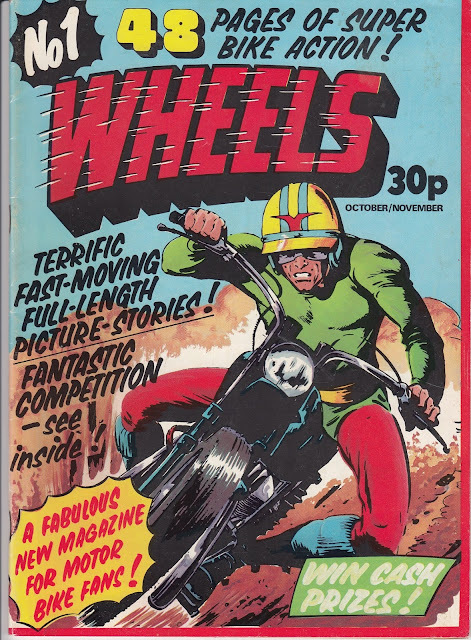 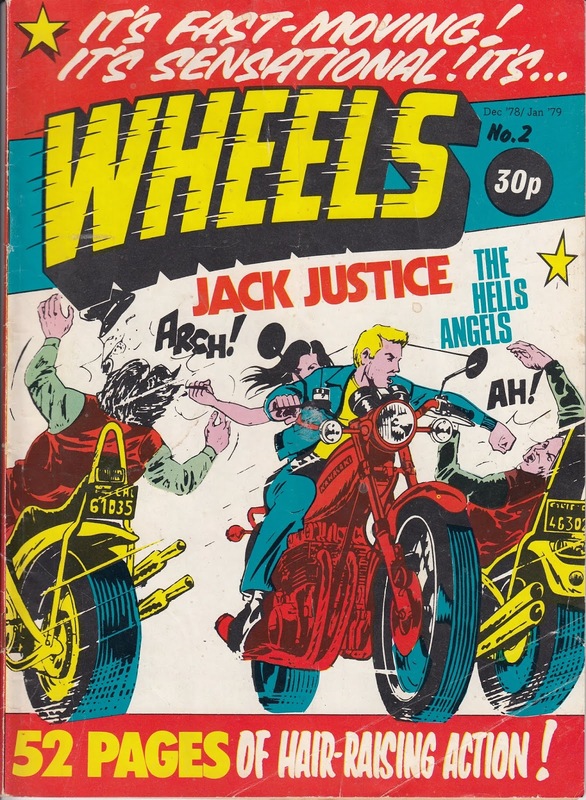 Sparrow Hawk represents an upturn in the quality of artwork (from the slightly amateurish art of Jack Justice) so I declare this the best issue yet.